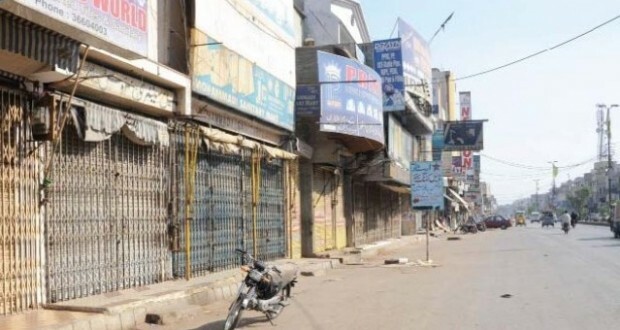 QUETTA: Shutter-down strike on July 4, is being observed on the call of Balochistan National Party (B.N.P-Mengal ) in different parts of Balochistan against the forced disappearances and overall worsening law and order situation of the province. In the Baloch dominated distracts of Balochistan: Quetta, Khuzdar, Wadh, Kharan, Panjgoo,Noshki , the Shops and business centers have been reported closed. 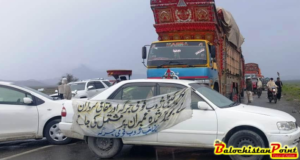 The daily routine life has come to a standstill due to the strike.The strike is against what they term unjust actions of security forces and its ‘death squads’ in Wadh area, the hometown of BNP chief Sardar Akhtar Mengal. Senior Vice President of BNP Dr Jahanzeb Jamaldini holds security forces on raiding houses of BNP leaders to harass them. “Some elements with the backing of security forces are trying to create law and order problem in Wadh. 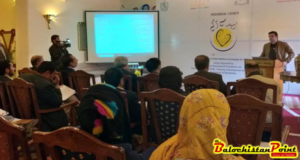 There is a death squad backed by security forces paving a way for operation in the area to eliminate the party from political arena of the province,” he said. Published in The Balochistan Point on July 4,2013.